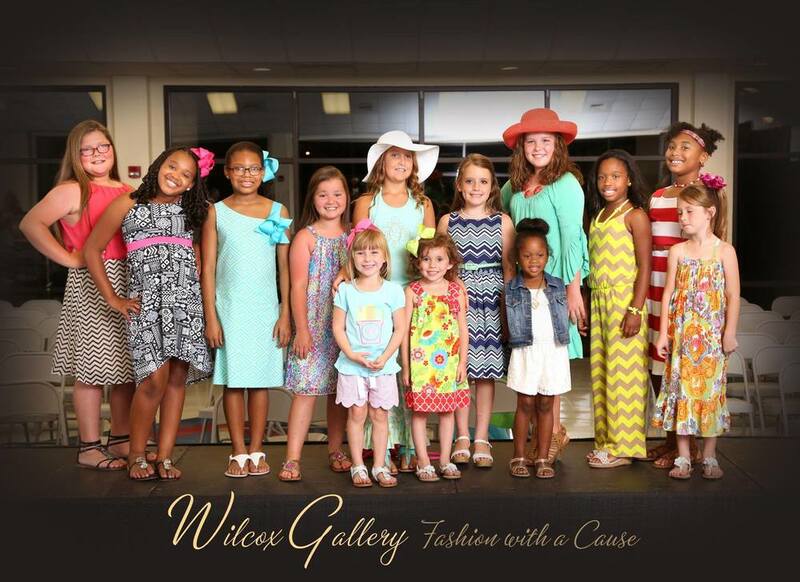 It was standing room only at the Chatom Community Center on Saturday, June 6, as the Wilcox Foundation & Gallery hosted "Fashion with a Cause," an event to foster awareness of human trafficking in Alabama. Over 60 models from a five county area in Alabama took to the runway to showcase current and vintage couture fashions in an event that raised over $5,000 for anti-human trafficking agencies Hope Haven, Stella’s Voice, and the WMU Foundation’s Hayes Endowment. "Our first 'Fashion with a Cause' was a great success. This event was birthed out of a desire the Wilcox Gallery had to raise awareness of how human traffickers are targeting young girls/boys. Our hope was that attendees would hear the messages from our guest speakers and leave with more information about this epidemic and that it would help them protect their loved ones from falling victim to traffickers. We chose to combine this cause with a fashion show, because it was a great platform to boost the self-esteem of those involved. Each girl/boy in the show was able to showcase their personal style on the runway and had a great time doing it,” said Alicia Atcheson, executive director of the Wilcox Gallery. Fashion blogger/stylist, Morrell Turner of Chatom, coordinated the three fashion shows in the event: a Summer Style Show featuring children’s fashion; an Elegant Evenings Show, showcasing formal gowns from Angela’s Formal Wear; and a Vintage Couture Show, highlighting 50’s and 60’s couture pieces previously worn by the late Edith Wilcox of Chatom and two pieces previously worn by Vivian Beech and Dot Stryker, both of Chatom. “We are thankful for the numerous volunteers who partnered with us to make this night happen: our models and their parents, Morrell Turner, Angela's Formal Wear, hair stylists and make-up artists, members of our very own paparazzi, and numerous others. We look forward to hosting "Fashion with a Cause" again in the future," said Atcheson. The Wilcox Gallery is still accepting donations to help fight human trafficking. Those interested in making a contribution can contact the Gallery at 847-2218 or wilcoxgallery@gmail.com. For more photos from the event, visit www.facebook.com/wilcoxfoundationandgallery.